FRAMED PRINT. 22x18 inch (56x46cm) Framed Print with Black Satin with Off-White Digital Mat. Artwork depicting BORLEY RECTORY 1890S. 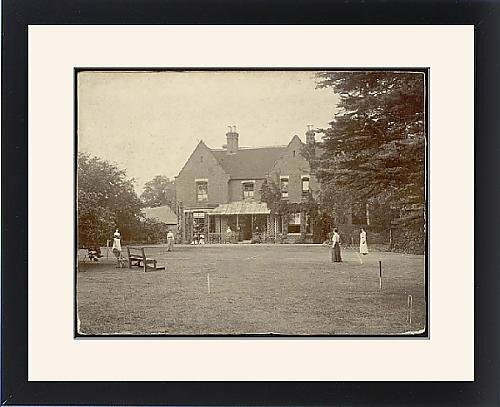 Borley Rectory at the time of Harry Bull s occupancy the garden front, the Bull family enjoying a game of tennis. Shipping from USA. Artwork Description... Borley Rectory at the time of Harry Bull s occupancy the garden front, the Bull family enjoying a game of tennis.